Garbo Watson Hearne has moved from nurturing patients as a nurse to nurturing artists and art collectors. As the Director of Pyramid Art, Books & Custom Framing and Hearne Fine Art, she has been cultivating artists and collectors for over 25 years. In 1988, Garbo left her nursing career to establish Pyramid Gallery. Over the years, the business has expanded its focus and changed locations. Since 2010, she has been located in the historic Dunbar neighborhood. Over the years, she has championed local, regional and national African American artists and authors. She has introduced many emerging artists to established collectors. Having her as a champion has allowed some artists to be able to take risks and to move into different mediums or styles. The 2010 move to Dunbar positioned Garbo’s businesses (as well as the medical practice of her physician husband) to be anchors in the newly designated Dunbar Historic Neighborhood. That neighborhood seeks to maintain its historic structures and return to its roots as a mix of residential and office space. In 2008, she and her husband, Dr. Archie Hearne, published Collaborations, Two Decades of African American Art: Hearne Fine Art 1988 – 2008. Hearne has served on the board of directors of the Mid-America Arts Alliance, National Assembly of State Arts Agencies, the Arkansas Arts Council (including a term as Chair) and the board of the Arkansas Humanities Council. Paul Laurence Dunbar School Neighborhood Historic District listed in the National Register of Historic Places. 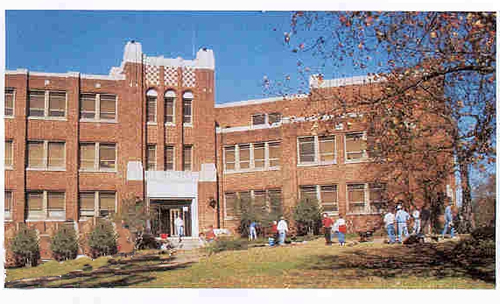 Built as Paul Laurence Dunbar High School, this building is now known as Dunbar Middle School. It is the centerpiece of the Dunbar Neighborhood. Earlier today, Little Rock Mayor Mark Stodola and Director of the Arkansas Historic Preservation Program Missy McSwain announced the listing of the Paul Laurence Dunbar School Neighborhood Historic District in the National Register of Historic Places and discuss what that means for the City of Little Rock. This designation is the result of several years of hard work by members of the community. This National Register listing formally documents the neighborhood’s history, development and contributions to the City of Little Rock. It also provides an incentive in the form of rehabilitation tax credits for many of the properties within its boundaries. Paul Laurence Dunbar School Neighborhood Historic District in Little Rock contains buildings dating to 1890. According to the National Register nomination, the district is representative of the evolution of a neighborhood from an integrated working and middle-class neighborhood in the late-nineteenth and early-twentieth century to a predominantly African-American working and middle-class neighborhood in Little Rock by the 1960s. Resources within the District reflect the varied architectural styles prevalent during the late nineteenth and early-to-mid-twentieth centuries. Properties in the district exhibit a broad mix of influences and architectural variants popular during the period, influenced by regional and ethnic traditions. 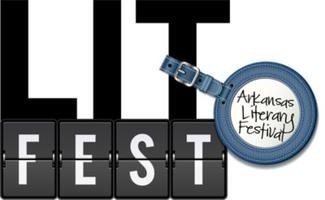 The 11th annual Arkansas Literary Festival gets underway today and runs through Sunday, April 27. Unless otherwise specified the events are free. “Painting Forgiveness” featuring author Kathy Sanders (Now You See Me). The session will be moderated by Ann Nicholson. “Cash” featuring author Robert Hilburn (Johnny Cash: The Life) and Rhett Miller. Maxwell George will be the moderator. “Art & Food I” featuring Mary Ann Caws (The Modern Art Cookbook) with Brad Cushman as moderator. The author session is free. But at 7pm, a paid event will take place involving Ms. Caws and some foods inspired by art and artists. “True Gratitude” featuring David Finkel (Thank You for Your Service) with Skip Rutherford as moderator. Rhett Miller will be in concert at South on Main. This is a paid event. The Cox Creative Center will be having a used book sale on Thursday from 5pm to 7pm. Pyramid Art, Books & Custom Framing host two different author events today. From 2pm to 4pm, Pyramid will host award winning author Evelyn Palfrey. The 2012 Romance Slam Jam Emma Awards Author of the Year, she returns to Little Rock for another in the series of events Pyramid is hosting to celebrate its 24th anniversary. Palfrey is the author of several books including The Price of Passion, Going Home, Three Perfect Men, Everything in Its Place and Dangerous Dilemmas. Pyramid, founded in 1988 by Garbo Hearne, is located at 1001 Wright Avenue, Suite C.
Christ Episcopal Church (500 Scott Street) is highlighting its new exhibit: “The Cross” which features interpretations of the cross in a variety of mediums by several artists including Wes McHan, Melverue Abraham, Sister Maria Liebeck, Janet Copeland, Susan Peterson, Lynn Frost, Betsy Woodyard, Jai Ross and Mark Alderfer. Hearne Fine Art (1001 Wright Avenue) is featuring “Southern Spirit: An Exhibition of Southern Folk Art” through March 3. This gallery has consistently championed African American artists for two decades in downtown Little Rock. Historic Arkansas Museum (200 East Third Street) will be featuring the opening of new exhibits by Bryan Massey, Tom Richard and Doug Stowe. Serenading visitors will be award-winning musician Bonnie Montgomery. 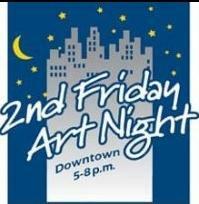 Mosaic Templars Cultural Center (501 West Ninth Street) will be a first time participant in 2nd Friday Art Night. 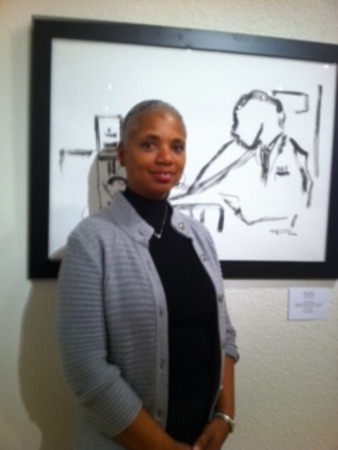 The featured exhibit is Daufe 1 by LaToya Hobbs. Visitors can also explore the many other galleries and exhibits in Little Rock’s newest history museum. studioMAIN (1423 South Main Street) will have its grand opening. 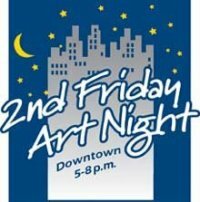 This design collective focused on encouraging collaboration in the creative fields including architecture, landscape architecture, interior design, urban design, furniture design and public art will have exhibitions during each 2nd Friday Art Night. This month is an exhibit of Pettaway Park designs. Other locations include Old State House, Butler Center Galleries, Canvas Community, Courtyard by Marriott, The Green Corner Store, Dizzy’s Gypsy Grill and Copper Grill.